See how we look at the Financial Markets from an International point of view and how our Charts tell more than 1,001 words. Our Archives go back to 2004 and we have a Academic Section explaining what the Media and Politicians fail to explain of explain incorrectly. Goldonomic – 12 Months full access to all the site content. Get access to all sections, with daily updates, Point & Figures charts with annotations and alerts on all significant market moves. Have an introductionary complementary Skype call with one of our experts so you find your way on the site faster and to learn which sections are relevant to you. Goldonomic – Discount price for your continued loyalty! Get 24 months access for $975 and updates from our experts.. Get access to all sections, with daily updates, Point & Figures charts with annotations and alerts on all significant market moves. 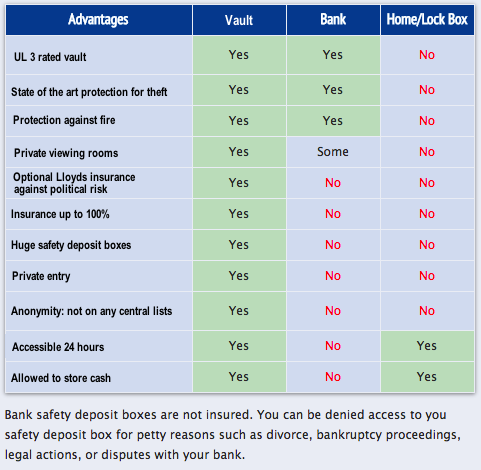 Store your valuables in a NON-BANK-VAULT out of political reach. Pay one year and get one year free* + we assist you in renting the box and in safely shipping/buying/selling your metals. Optional: Inquire about the extra Insurance against political risk and have your valuables fully insured through Lloyd's of London. Our Archives go back to 2004 and we have an Academic Section explaining what the Media and Politicians fail to explain of explain incorrectly. Get personal assistance in managing your assets, in setting up a portfolio, in deciding about the best location to keep your savings so you are better insured against any financial accidents. Learn where you must keep your physical Gold & Silver, and how to keep your assets out of political reach, etc.... Learn the basics about technical analysis and learn how to manage your portfolio over time. Store your valuables in a NON-BANK-VAULT out of political reach. Pay one year and get one year free* + we assist you in renting the box and in safely shipping/buying/selling your metals. Optional: Inquire about the extra Insurance against political risk and have your valuables fully insured through Lloyd's of London. One Financial Account: complementary with this option is our assistance in opening ONE account with a designated financial institution "out of political reach". 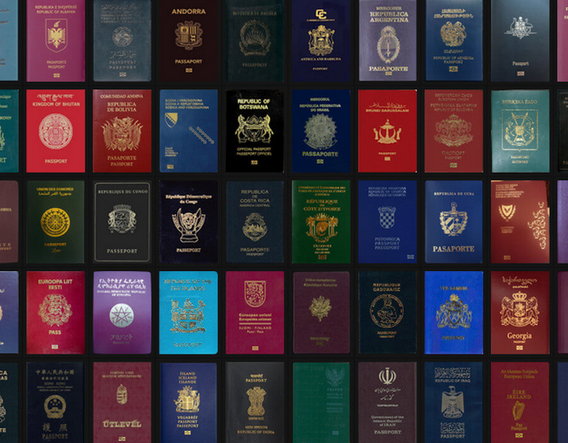 Get a second PASSPORT (permanent residence) in a stable, flourishing country. Have a plan B when the situation at home deteriorates. We will hold your hand and wallk you through the complete process from A to Z. From Temporary Residency Card to Passport. We have a 100 procent success rate. The basic Residency process takes about 3 to 6 months. This is a down payment only. Grand Total varies from case to case.